1. 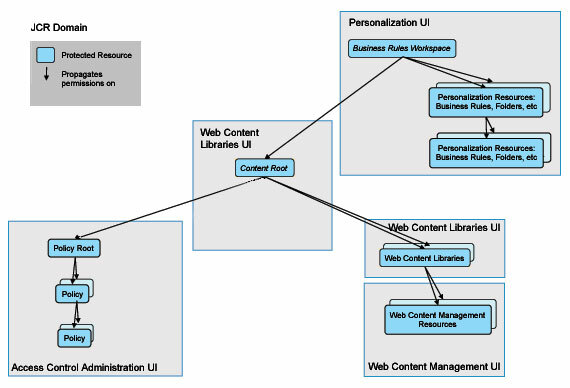 As explained in WCM Security Part 2 setting at the “access on root” from webcontent libraries portlet will give access to all WCM libraries (Because all wcm libraries are organized in a hierarchy with a common root ). 2. 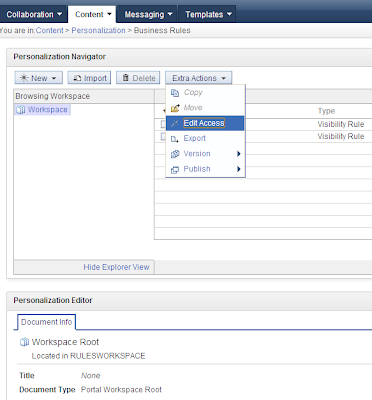 But important thing is WCM libraries common root inherits the access permissions from the “personalization workspace” access settings as shown in above diagram. Unless you block propagation at the personalization workspace level , all access permissions flow throw the WCM libraries.